It Has Been One Month Since Sarah Palin Called Herman Cain "The Flavor of the Week"
Take Herman Cain. He’s doing so well right now. I guess you could say, with all due respect, he’s the flavor of the week. Since then we’ve had two presidential debates, and Cain’s survived them. 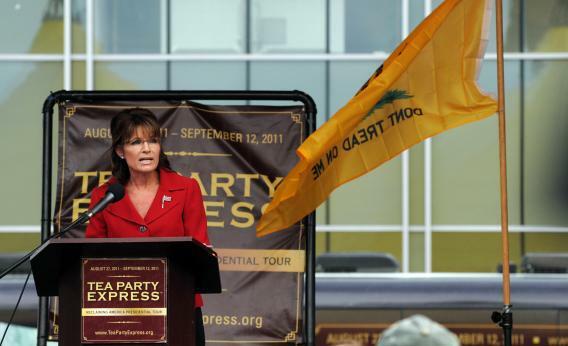 When Palin made her comment, Cain was at 5.5 percent in the RealClearPolitics national poll average. The next day, a Fox News poll would peg him at 17 percent; right now, he’s at 25 percent in the polling average. How do we know that Cain is more appealing? Gallup’s polling on affinity for candidates found that Cain, consistently, had the broadest appeal to Republicans. Dan Balz locked that CW in amber this week with this story about a focus group that was extremely warm on Cain and saw Perry as a bully. A lot of that is just native to the two men – Cain is possibly the most good-natured national candidate I’ve ever seen – but part of it is related to how they’ve handled the issues that annoyed their bases. When Perry was challenged on immigration, he said that anyone who opposed his college tutition plan “didn’t have a heart.” We didn’t even get to discuss the merits of the plan, just the fact of Perry’s disregard for critics. Cain’s big gaffe this month was a mushy abortion answer to Piers Morgan, which he immediately tried to apologize for and clean up. It did some damage, but not Perry-level damage.